Can you believe it – It's December 2nd already!!! What happened to back to school, Halloween, and Thanksgiving? I wish this year would just stop and slow down so I can try to enjoy everything the holiday season. I feel like I need to start planning or I’m going to enter panic mode because the clock is ticking and time is starting to run out! How do you countdown the days to Christmas? We use this countdown from Pottery Barn and I fill each day with a mini holiday Reese cup. 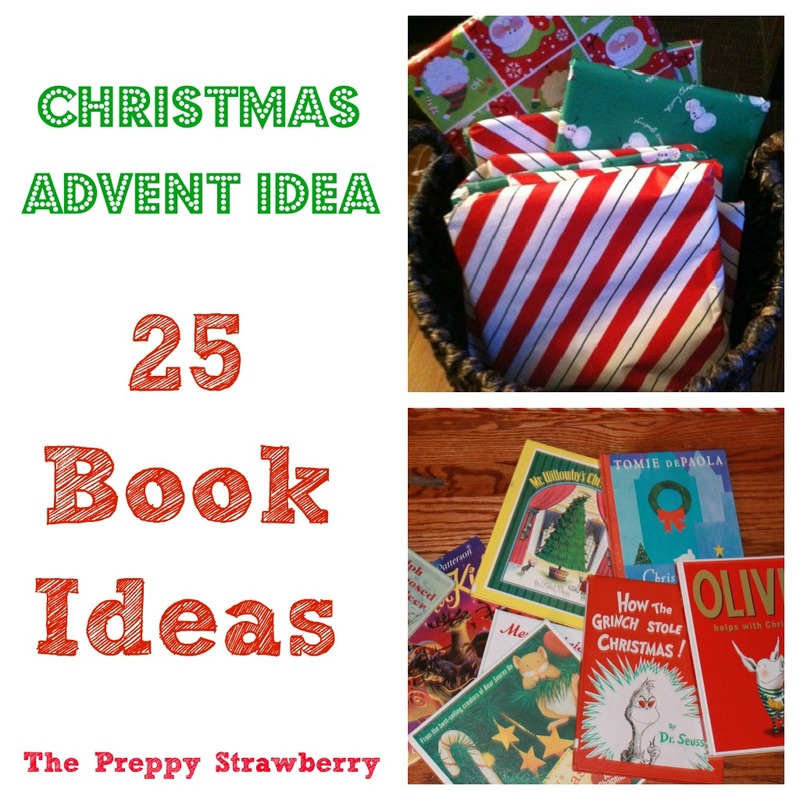 Need some ideas for your own Christmas countdown –check out my Advent board on pinterest for some ideas. You can find me on pinterest here - be sure to follow me – I’ll admit I’m addicted to pinterest!! Are you? This year, I reserved a bunch of Christmas books from the library and we also wrapped up some of our Christmas books. Lilly is super excited about this activity!! She was begging me to unwrap a few early. I told her she had to wait until Dec. 1. Yesterday, we read Santa Kid – very cute story if you haven’t read it definitely a fun read. The little drummer mouse : a Christmas story / by Mercer Mayer. busy wrapping her books..... all 25. You have to learn to wrap so guess this is a perfect way to start! I love advent calendars. Such cute ideas and I especially like the book one. How fun!!! Thanks for sharing it on "I Gotta Try That" Have a great weekend.